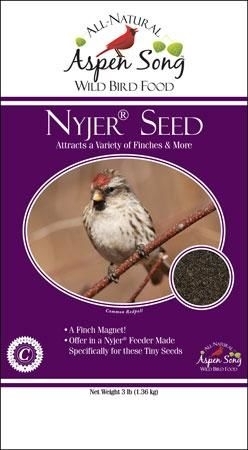 Nyjer® Seed is a magnet for attracting American Goldfinch, Purple Finch, House Finch, Pine Siskin, and Common Redpoll. While the price seems high, there are over 100,000 seeds in each pound. When dispensed through a Nyjer® feeder, with tiny seed ports, the price per finch visit is very economical. Attracts Finches, Siskins, Redpolls & More. Sized for the Finch Family. Expect a Goldrush! For Finch Tubes Only. 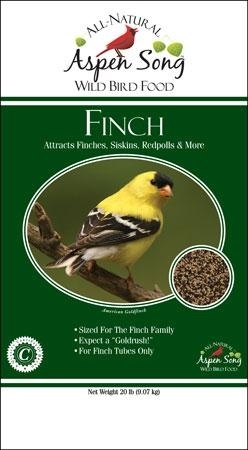 Aspen Song® Finch is ideally formulated for these small perching birds. It contains Fine Sunflower Pieces, Small Yellow Millet, Nyjer® Seed, Canary Seed, and Canola Seed. The contents may be tiny in size, but are packed with nutrition for this energetic group. And all are food magnets to the finch family of birds. 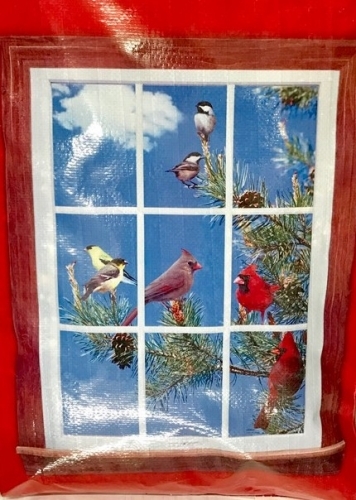 Attracts Finches, Siskins, Redpolls & More! Sized for the Finch Family. Expect a Goldrush! For Finch Tubes Only. 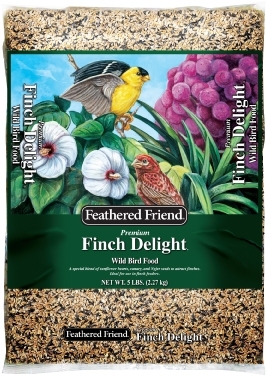 This bird seed mixture is made specifically for our area! 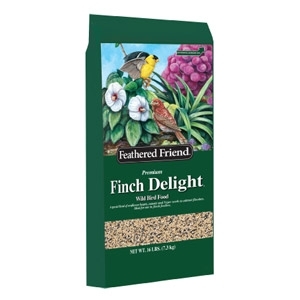 It is a great mix to attract a wide variety of birds including ground feeders. It is composed of Black Oil, White Proso Millet, Cracked Corn, Red Milo and Crimped Corn. This is available in both a 20# and a 40# Bag.